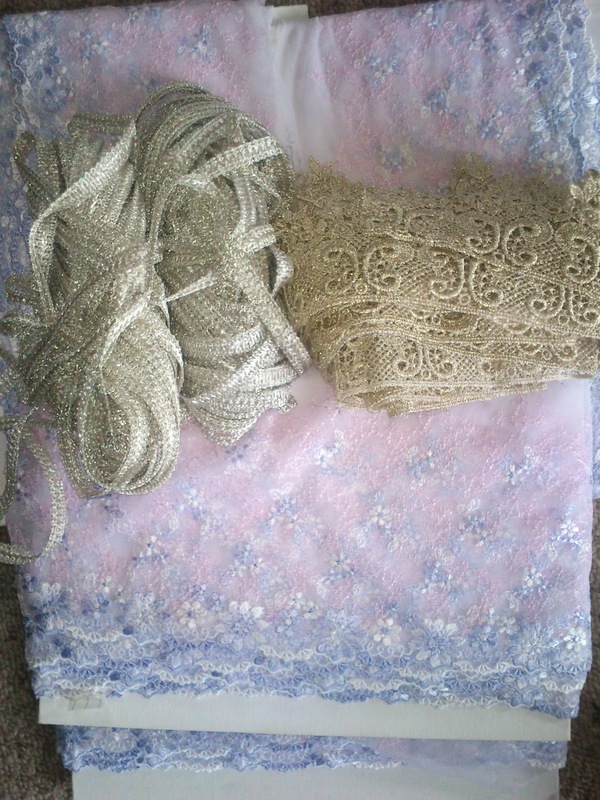 More lace for marie Antoinette! 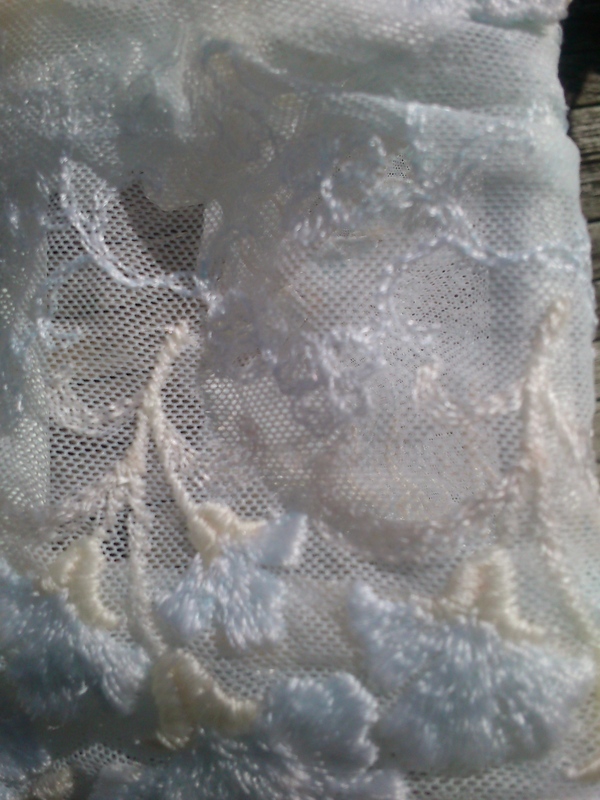 This very heavy embroidered lace net reminded me of the dimensional effect of handwork one of my great aunts would work. The colour however was not quite right. Had the leaves been green I’d have kept it. 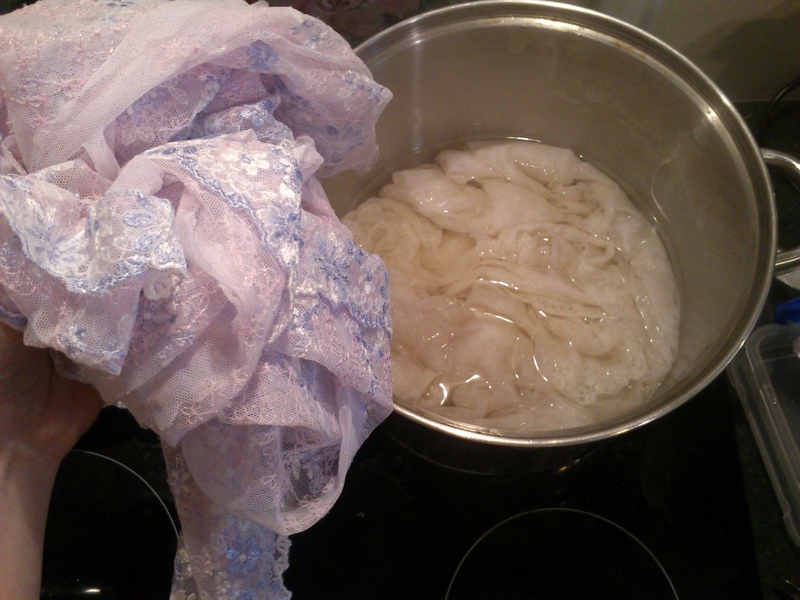 So during the colour removal process some dyes can go a very strange intermediate colour. Whites often go yellow, and here the cool blue went a pale apricot before finally all settling back to very very very pale tones. 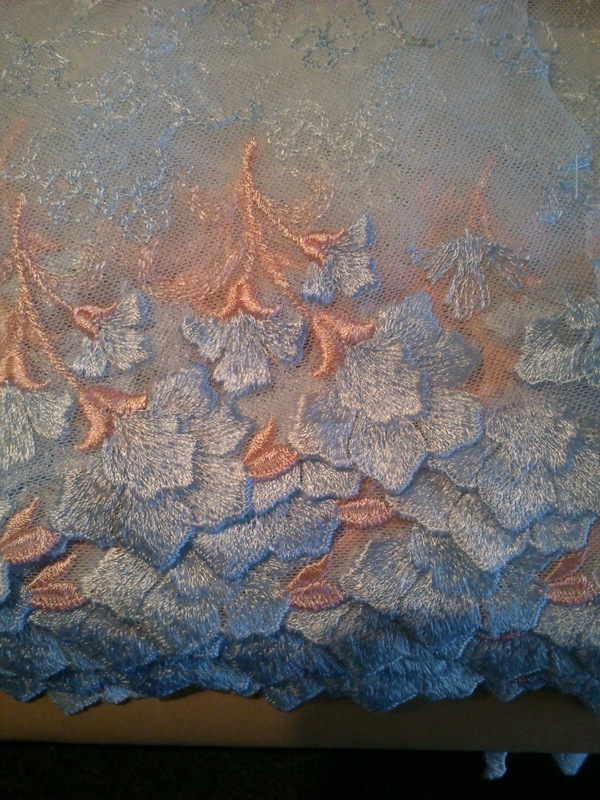 But what I really really wanted was to change some finer embroidered lace that I had 25m of (I kept a5m length aside). The pattern is so beautiful and a reasonable pattern for many periods. I also put in some vintage real metal laces in after the fabrics. Real metal will gain new life but it will create a far amount of dark brown liquid- sthere is a reaction to the metal. SO do be careful. 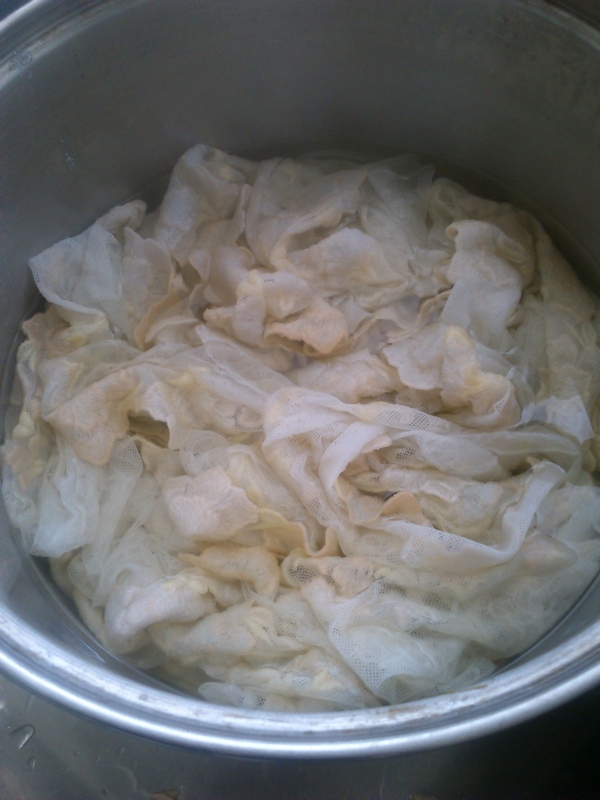 Once cool the dark brown liquid turns black, and any staining of the fabric disappears. Today is a day of pressing and cutting linings for my Princess of Cleves doublet.